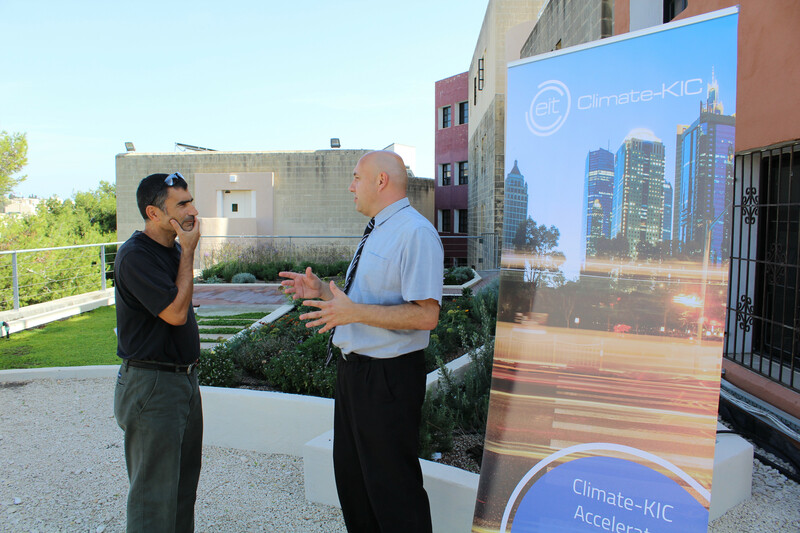 Malta, more specifically, Valletta, will be participating in Climate-KIC’s CLIMATHON, a global climate change event which will take place simultaneously in major cities around the world, including Valletta. Paragon Europe, the organisers of the event in Malta, have chosen the theme “How best to be prepared for Green Valletta Capital of Culture 2018”. The objective of this event is to serve as a platform for individuals or businesses to present their ideas and innovative solutions for greener initiatives – be they architecture, transport or business-related. During the Climathon event, these individuals will have the opportunity to pitch their idea to a panel of expert judges. “Climathon brings together the challenges of the world’s cities with people who have the passion and the ability to solve them,” explains Anton Theuma, CEO of Paragon Europe. “The Climathon event in Malta will be a 12-hour marathon of presentations, discussions, workshops and proposals for solutions on how carbon emissions in the city of Valletta may be reduced. It is an opportunity for all those who feel they have an idea they can contribute to present this idea and be helped to assess if this idea is indeed feasible and doable. It will also be an opportunity for people and businesses to meet and start off potential collaborations and business projects,” explains Anton Theuma. Speaking about the chosen theme “How best to be prepared for Green Valletta Capital of Culture 2018”, Anton Theuma added “Valletta is a UNESCO World Heritage Site, a fragile city which everyday has to meet the demands of very wide and diverse communities that have to co-exist together – residents, businesses, shoppers, tourists and other visitors. This fragility can be protected if we actively seek long-term solutions that are innovative and effective. The city is visited every year by over 1.4 million tourists and this figure is likely to increase in 2018 when Valletta becomes the European Capital City of Culture. Therefore, the time to act is now,” added Anton Theuma. 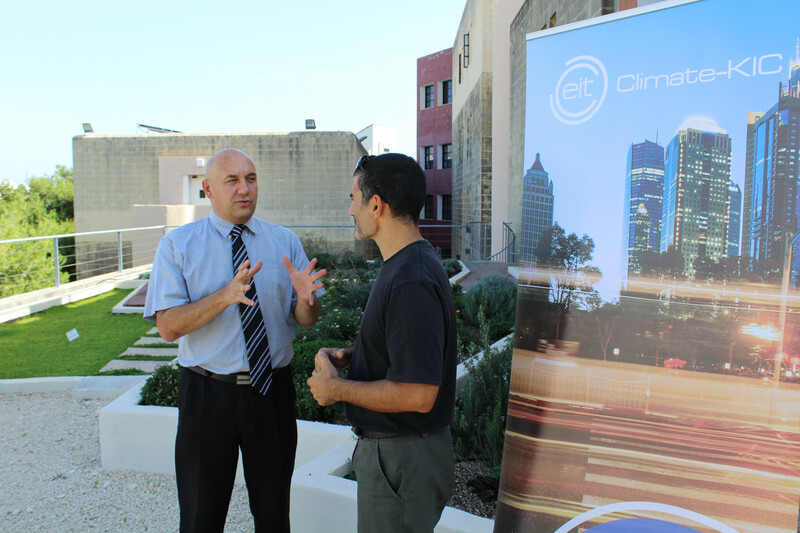 To launch this year’s Climathon event, a press conference was held at the experimental green roof at the Faculty for the Built Environment of the University of Malta. This green roof forms part of the LifeMedGreenRoof Project (financed by the European Union under LIFE+). The project manager, landscape architect Antoine Gatt made reference to the benefits of green roofs as one of the methods that can be adopted by domestic and commercial buildings to reduce their carbon footprint and there are many additional benefits such as insulating buidlings against heat and cold; increasing property value and aesthetic value of urban enviroment to mention a few. Sustainable buildings will be one of the key topics discussed at the Climathon event on Friday. Last year’s Climathon event saw the participation of 19 cities around the world and engaged more than 2.6 million people worldwide to take climate action. This year’s Climathon will see 59 participating cities from 36 countries over 6 continents. Speakers at the Climathon event include Hon. José Herrera MP - Minister for Sustainable Development, the Environment and Climate Change; Jason Micallef – V18 Foundation Chairman; Alexiei Dingli – Mayor of Valletta; Angelo Xuereb – Entrepreneur, members from the Eco-cluster in Brussels and other guests of honour. The Climathon will culminate in the presentation of ideas in front of a panel of different science and business experts. The winning idea/proposal will have the opportunity to be showcased during the forthcoming Climate Summit.